The iPad is fast becoming the go-to touchscreen EPOS technology for businesses all over the world – from restaurants and bars, to hair and beauty salons and coffee shops. Boasting unrivaled portability, user-friendly analytics, and a low up-front cost, the iPad allows small businesses to build fully customised, feature-rich EPOS systems which would have previously been unaffordable to them. And it’s not just startups responsible for the tablet’s surge in popularity. The ease with which an iPad can be integrated into a larger EPOS system has seen them replace traditional cash registers on the counters of an increasing number of big businesses too. In fact, over 60% of businesses are now choosing to use iPad EPOS over a traditional till system. So what’s all the fuss about? What is an iPad EPOS system? Suppliers – what is the best iPad EPOS system? How do I find the right iPad EPOS system for my business? The iPad’s intuitive, user friendly operating system is easy to get to grips with – even for people who aren’t familiar with Apple devices. There’s nothing special about the tablets sold by suppliers, so if you already own one you can just buy the software and accessories and reduce your up-front cost even further. There are two types of software to choose from: web-based and app-based. The most basic programs offer simple functions for processing transactions; the more advanced include back office tools to help you track inventory, produce sales reports, and manage payroll. Most require a monthly subscription, which includes any updates. Accessories – card reader, cash drawer, receipt printer etc. Accessories such as a card reader, cash drawer and receipt printer can connect wirelessly, using Bluetooth, or via the iPad’s lighting cable port. Some EPOS software will allow you to use the tablet’s built-in camera as a barcode scanner, which could save you another £150. Smart. Web-based software is accessed via a browser and hosted on the vendor’s servers. This means that you don’t have to worry about updating or backing up the system – it’s done for you. But this type of platform does have its drawbacks. When you process an item the iPad sends a request to the servers, which reply with the product code. So without an internet connection it is not possible for the two systems to communicate. Most web-based EPOS software will, however, store data in the cache in the event of an internet drop-out, which will sync with the cloud once the system is back online. (As long as you don’t clear your cache.) Storage and functions will be limited though, so it’s worth asking your supplier exactly what offline protection their software provides. Dedicated EPOS apps store critical data such as inventory and staff accounts on your device. So if the internet drops out, you’ll still be able to perform most tasks to do with transactions and reporting. These apps are developed specifically for iOS devices, so they tend to offer the best user experience. Take the iZettle Go app for example. The intuitive intuitive user interface with customisable thumbnails makes navigating to the right product a breeze, even when the menu contains hundreds of items. Plus, it can be downloaded onto your iPhone too, allowing you to access reports and manage stock from anywhere in the world. They’re cheap. This is perhaps the biggest selling point. Prices start from around £500, compared to over £1000 for a standard EPOS system. Most suppliers offer an option to rent or lease a system too. iPads are portable. As a vendor, they allow you to come out from behind the counter and interact with customers on the shop floor, taking payments there and then. In a restaurant or coffee shop, staff can use their iPad to take customers’ orders, eliminating the need for paper and pen. In a retail environment an iPad can be used to check stock levels, explore inventory, and pull up product descriptions. This can help staff convert browsing customers into hard sales. It’s cloud computing for the modern business owner. Cloud-based systems provide excellent security and lots of storage. Software updates are easy to install without having to contact the supplier, and data can be accessed anywhere in the world. Apple has sold over a billion mobile phones and iPads worldwide. So chances are you and your staff will be familiar with the operating system. Training time is likely to be low. They’re Mac! So you know you’re getting a slick looking product and an intuitive, user-friendly operating system. Let’s face it, even people who pretend not to love Mac love Mac. Security. Like any online system, cloud-based EPOS is vulnerable to hacking. Thieves tend to target customer data. This will include payment details and personal information which could be used for identity fraud. Cloud computing is big business, so naturally service providers do everything they can to ensure your data is protected. But no system is perfect and security breaches do sometimes occur. It’s worth remembering, though, many of us use the cloud to backup sensitive data every day (Apple Pay, password keychains, Facebook etc.) and instances of cyber-theft are still relatively rare. Durability. If you’ve ever owned an iPhone, you’ll know that they don’t fare well when dropped. (Though, to be honest, what piece of tech does?) There’s a simple fix for this: ensure yours is protected by investing in a sturdy case. Functionality. As good as it is, iPad EPOS software still lacks some of the back office functions of a high-end system. This is only likely to be a stumbling block for large companies with a huge inventory and colossal turnover – small-mid sized businesses will be absolutely fine. ✔ Flexible vending: carry the iPad with you from till to table. Instantly relay orders direct to the kitchen or bar. ✔ Dazzle them with pictures: use images to build mouth-watering digital menus. Show your customers what their food will look like before they order it. ✔ Customisable table layout management: keep track of your tables. Know how many tables are occupied and what’s been ordered at each. ✔ Smart trading: use reporting functions to gain valuable business insight, such as average dining length and revenue generated per head. ✔ Build a loyal customer base: capture customer information at the point of sale. Sign them up to newsletters and reward returning customers with built-in loyalty schemes. ✔ Omni-channel retailing made easy: integrate eCommerce with your EPOS system and take payment in-store for orders placed online. ✔ Streamlined checkout: process transactions away from the counter – reduce queue time for customers and improve their overall shopping experience. ✔ Dynamic sales: take to the shop floor with a handheld register and convert browsing customers into concrete sales. Showcase products using a digital catalogue. ✔ Smart trading: use reporting functions to identify sales trends, quickly check stock levels and inventory, and assess the individual performance of staff. ✔ Centralised trading: use the iPad’s ‘cloud’ software to reorder and redirect stock to multiple locations. Ensure you have the products you need, when you need them. ✔ Selfie-scanning: use the iPad’s built in camera as a barcode scanner – reduce your upfront costs and allow your staff better maneuverability. Suppliers such as EPOS Now offer a free demo service. This involves looping you in to a live stream of the user interface, where a product expert will walk you through the system step-by-step and answer any questions you may have. Because no amount of research can compare to seeing the product in action. And if you’re still not convinced, some software suppliers also offer a free trial, allowing you and your staff to get ‘hands-on’ with the system before committing to buying. As iPad EPOS becomes more and more popular, the risk of being sold a dodgy system increases as developers rush to get in on the action. Expert Market only partners with reputable companies with a proven track record of providing innovative and reliable technology and services. There are a number of alternative tablet EPOS systems available to UK businesses. The most popular, by far, use Android-based devices. Though, there are some systems that steer clear of both Apple and Android all together, such as the First Data Clover Station reviewed below. Unlike Apple’s iOS, the Google owned Android operating system forms the basis for tablets made by multiple manufacturers.The likes of Samsung, Asus, Lenovo and Amazon are all competing for your money, and this has the effect of lowering prices right across the board. Compare the up-front cost of Samsung’s entry-level Galaxy Tab A (£229.99) with the Apple iPad equivalent in spec (£339) and it becomes clear why many businesses choose Android as their tablet EPOS solution of choice. Here are three tablet EPOS systems so good they my tempt you away from choosing iPad. It’s not often that an Apple product is beaten for looks but my word, just look at the First Data Clover Station with brushed aluminium body and white glass accents. Mhmm. What a beaut. But this tablet EPOS system is more than just a pretty face. Both the super-wide, 29.46cm interface and operating system are custom built by Clover and fully optimised for EPOS. There are four USB ports – something Apple users can only dream of – as well as ethernet and Bluetooth connectivity. Clover’s cloud-based software is notably clean and uncluttered in its design. It includes a host of different apps to help you optimise your business — from inventory management, to reporting and analytics. 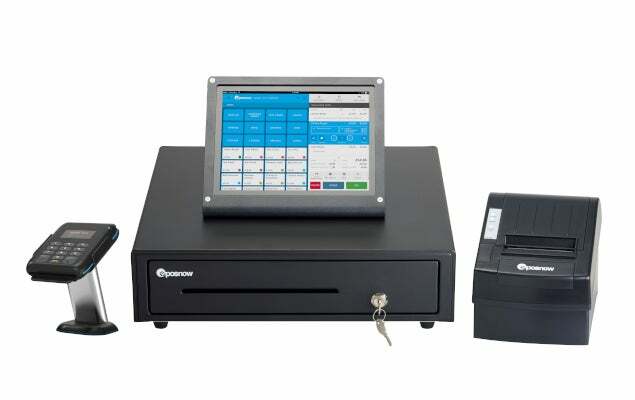 Part of the Clover Family, the Clover Station can be easily paired with the similarly stylish Clover Mini or Clover Flex card machine to make a complete tablet EPOS system with on-the-go payment processing capabilities. Worldpay is a leading player in electronic payment processing, operating in 126 countries across the globe. Their latest tablet EPOS bundle, My Business Hub, comes with a Lenovo Android tablet 3, cash drawer with built in thermal printer and card machine as standard. The tablet has approximately six to eight hours battery life and the card reader can be attached via USB for mobile payment processing. The Worldpay app offers you all the functionality of leading iPad EPOS and integrates with My Business Dashboard, Worldpay’s online insight tool, to help you track and improve the efficiency of your business. 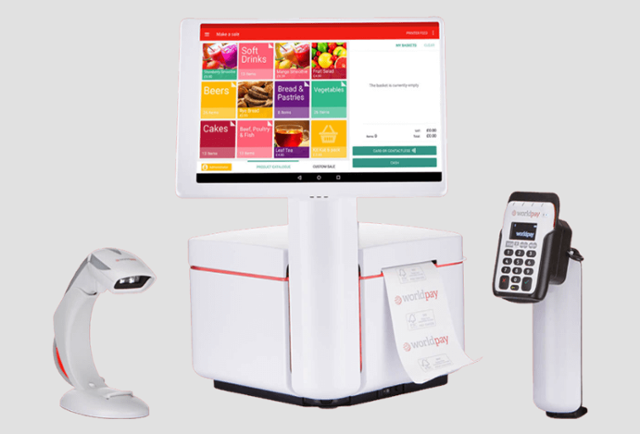 The system is available to lease for as little as £50 a month and if anything goes wrong with it Worldpay will deliver you a new one, free of charge. Epos Now is one of the UK’s largest EPOS suppliers. They offer a multitude of different systems, including traditional PC-based systems, iPad, and Android-based tablet solutions. 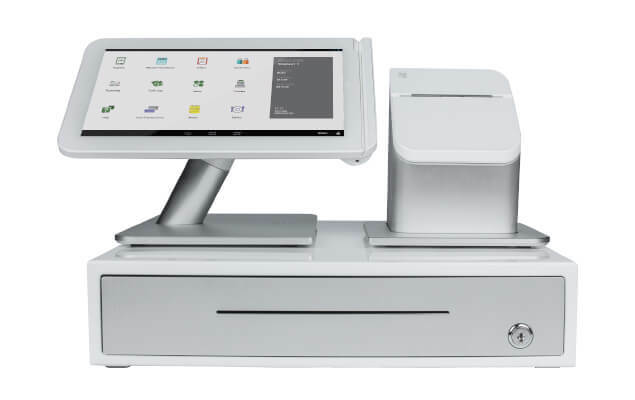 Their Android POS System is available to buy outright for £897.60 – a full £181.20 cheaper than the iPad bundle – and includes a Samsung Galaxy Tab A tablet computer with secure Heckler stand, a cash drawer, receipt printer and card reader. What’s more, if you already own an Android tablet, you can purchase Epos Now’s point-of-sale software as a standalone product and reduce your up-front costs even further. How do I find the right EPOS system for my business? Fill in this form to receive a free quote from up to four suppliers. It’s completely free, and the questions we ask are designed to pair you with the right supplier to meet your needs. Don’t delay, compare EPOS systems today.